Somali people shared their views related to FGM/C, child marriage, girls access to education, and juvenile justice. Despite some improvements, harmful practices that violate the rights of women and children, especially girls, continue at concerning levels in Somalia. The Gender Inequality Index identifies Somalia as the fourth most unequal country in the world in terms of gender. Effective social change initiatives aimed at eliminating harmful practices and promoting gender equality require a granular understanding of how people perceive and talk about these issues. Yet in Somalia, where there are areas of poor infrastructure and political insecurity, on-the-ground, qualitative research is difficult to undertake and costly to reproduce at scale. 40,544 text messages were received in response to questions aired on the radio from 16,541 people within 73 districts across Somalia – of these participants 45.2% were female. There are geographical variations between South Central Zone (SCZ) and North West Zone (NWZ) in beliefs related to FGM/C. Overall, participants in NWZ were more likely to disagree with FGM/C and perceive that the practice was occurring due to ignorance, whilst those in SCZ were more likely to disagree with only more severe types of FGM/C. Participants in NWZ were slightly more likely than those in SCZ and NEZ to agree with FGM/C as a form of sexual control of women, whilst those in SCZ were far more likely to agree with it on religious grounds. Male and female participants vary in their beliefs around girl-child development and marriage. Female participants were more likely to talk about emotional and intellectual maturity as being important for marriage readiness, whilst men were more likely to talk about puberty and biological development. This impacted overall attitudes to child marriage: men tend to present reasons to support child marriage, while women tend to present reasons to oppose it. For UNICEF, AVF’s approach provides a rare scientific rigour to social norms programming. 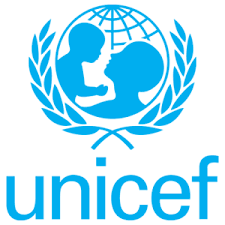 Our insights and accompanying recommendations are informing UNICEF’s social norms work and in particular their messaging around social change.